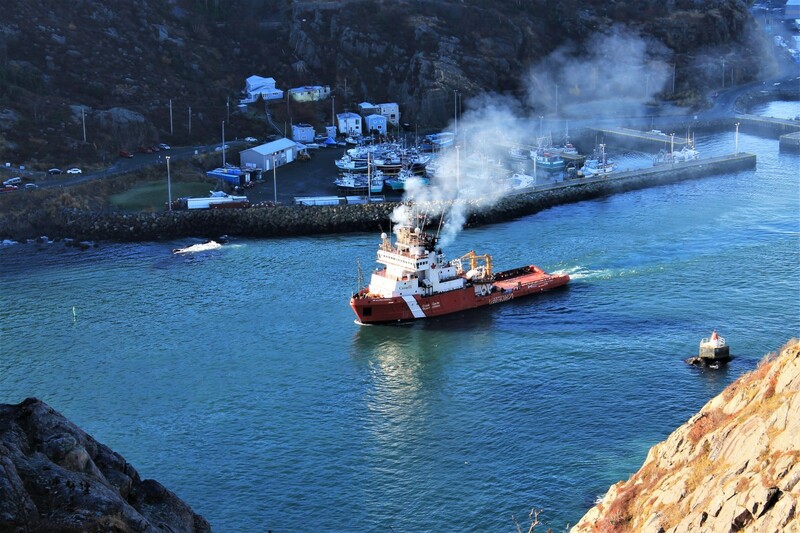 Signal Hill is St. John's best known and most popular landmark. Its unparalleled view of the City and its sweeping vistas of the Atlantic Ocean make it a major attraction for both visitors and locals alike. 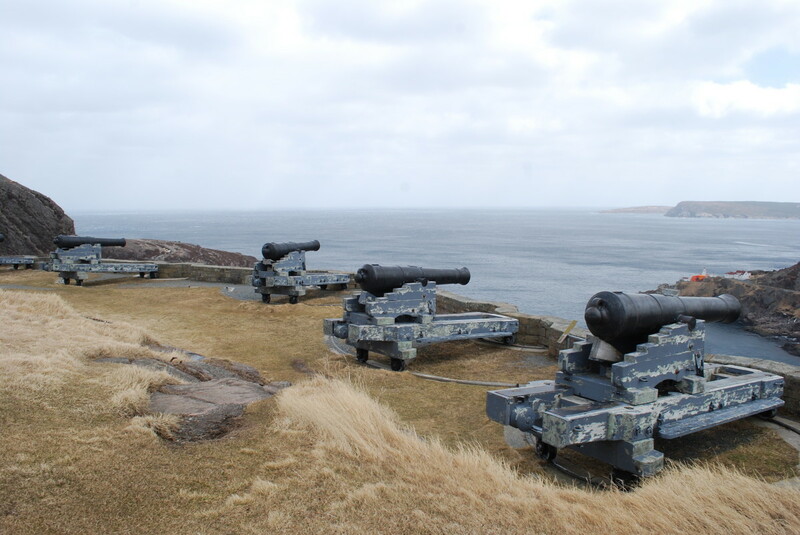 Due to its strategic location overlooking the Narrows, Signal Hill was the site of the city's harbour defenses from the 17th century until World War Two. It is also the site where, in 1901, Guglielmo Marconi received the world's first transatlantic wireless signal. 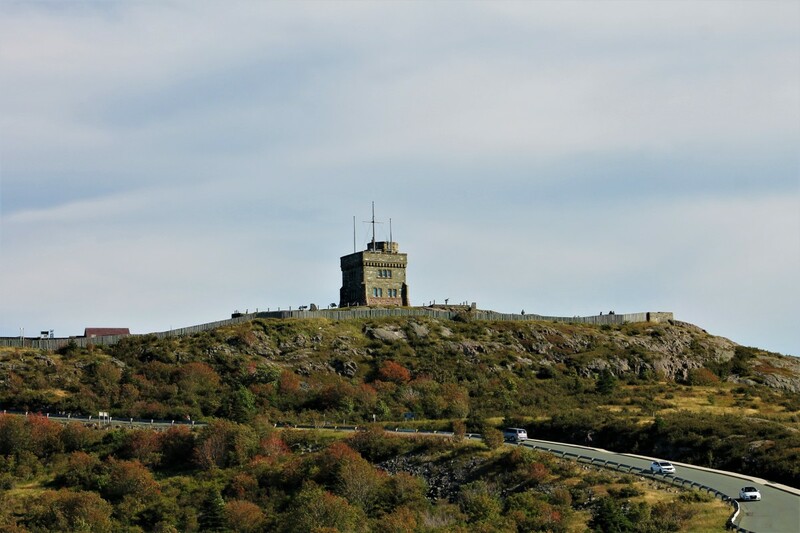 Other attractions to visit while hiking the Signal Hill trails include Cabot Tower, The Signal Hill Visitor Interpretation Centre, and the Johnson Geo Centre. 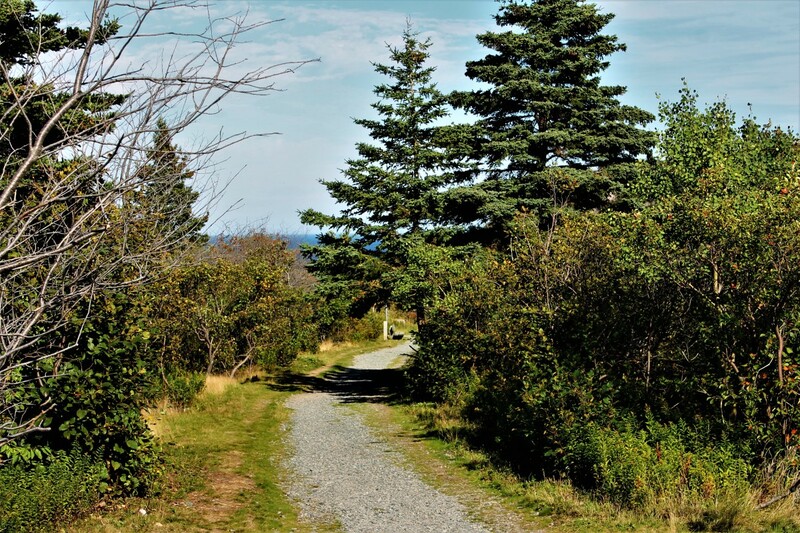 Signal Hill has five main hiking trails; the Northhead Trail, the Ladies Lookout Trail, the Centre to Citadel Trail, the Burma Road Trail, and the Gibbet Hill Trail. 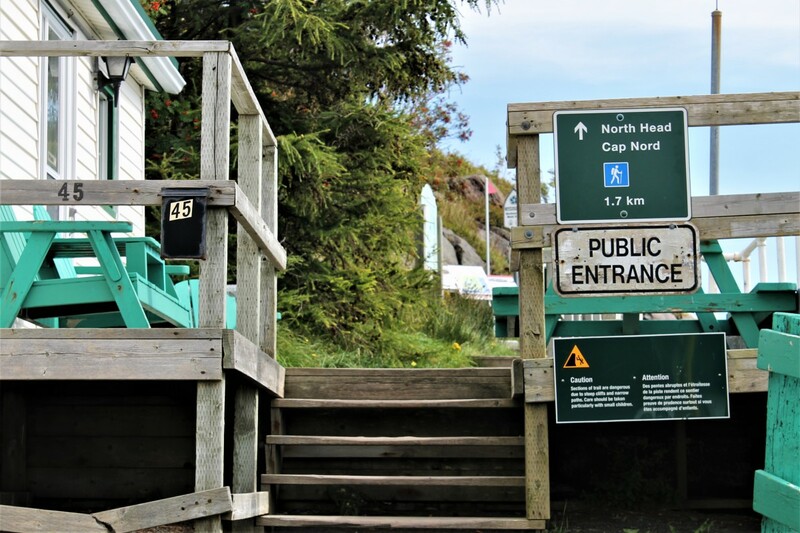 A short, fully accessible trail, known as the Lookout Trail, goes around the top of the hill, circling Cabot Tower and connecting various lookout points. 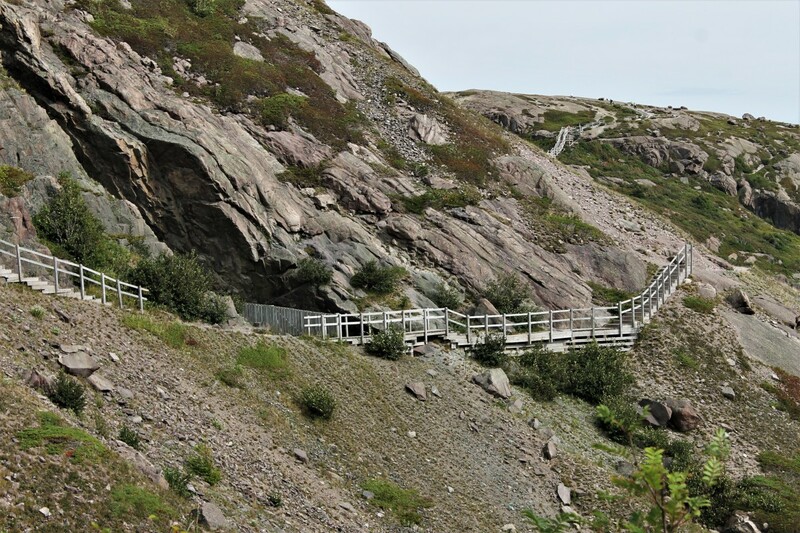 In addition, a number of Grand Concourse connecting trails connect the Signal Hill Trails to the Grand Concourse Trail system, which winds its way throughout the city of St. John's. 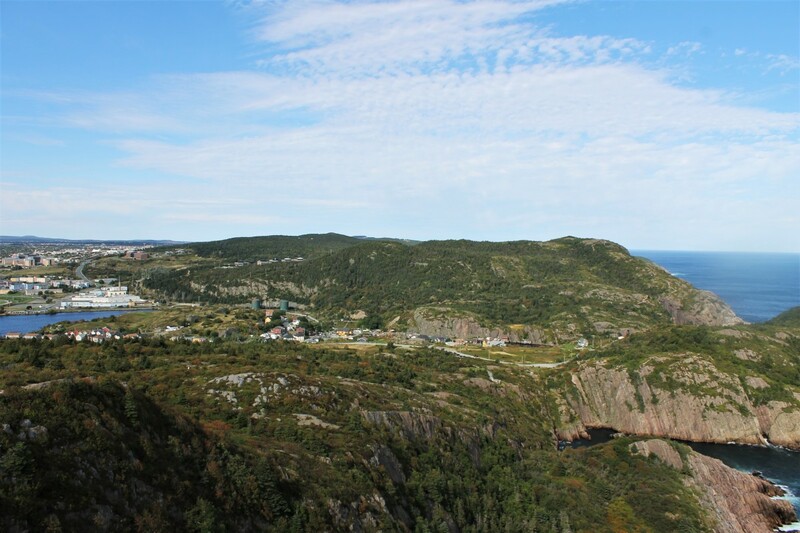 Lookout Trail is the shortest of the Signal Hill Trails, at just 300m, and circles the summit of Signal Hill. It is rated easy, and is fully accessible. The trail is a loop that enters from, and exits to, the parking lot. Starting at the city side the walker steps onto the boardwalk which runs along the length of the parking lot on that side. 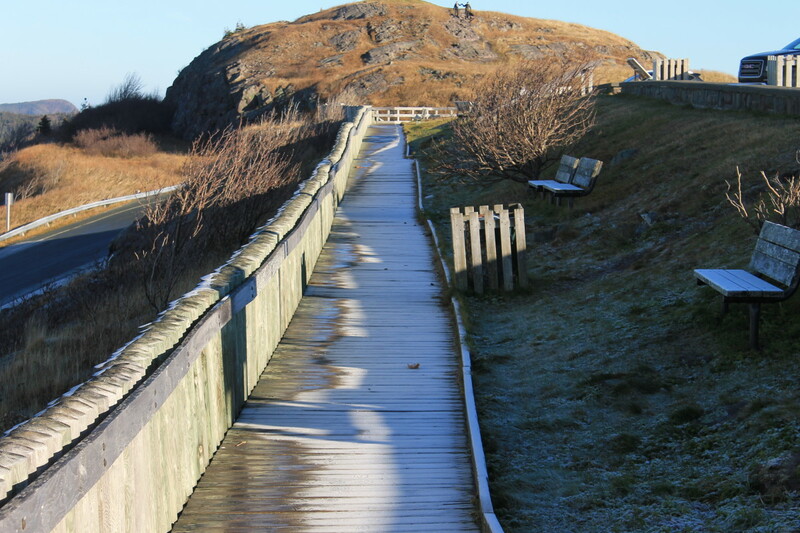 The boardwalk ends on a gravel portion of trail that leads around to the back of Cabot Tower. This portion of trail provides a beautiful panoramic view of the city. 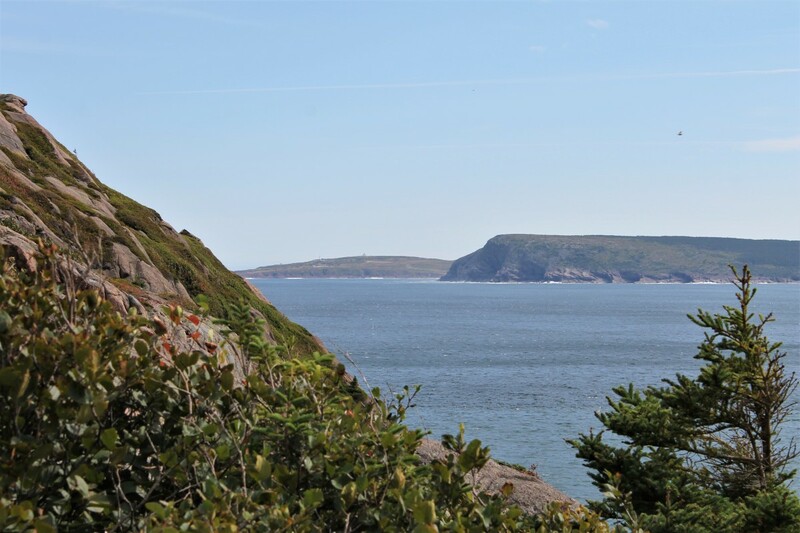 Where the trail loops around the rear of Cabot Tower one will find a number of lookout points, some equipped with viewing scopes, which give spectacular views of the city, the harbour, the narrows, Fort Amherst, and the Atlantic Ocean. The entrance to Cabot Tower is also around back, and it is certainly worthwhile, if there during its hours of operation, to take the time to tour this interesting and historic building. From the trail loop at the rear of the Tower the hiker can either continue around the building and take the trail back down to the parking lot, or get on the Centre to Citadel trail. 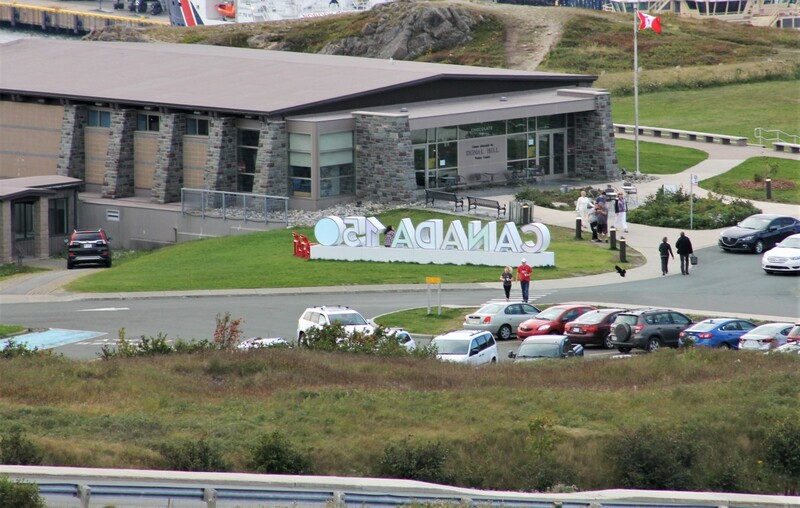 From the Interpretation Centre the Centre to Citadel Trail takes the hiker up the hill to the Queen's Battery Barracks, and from there on to the top of Signal Hill, and Cabot Tower. 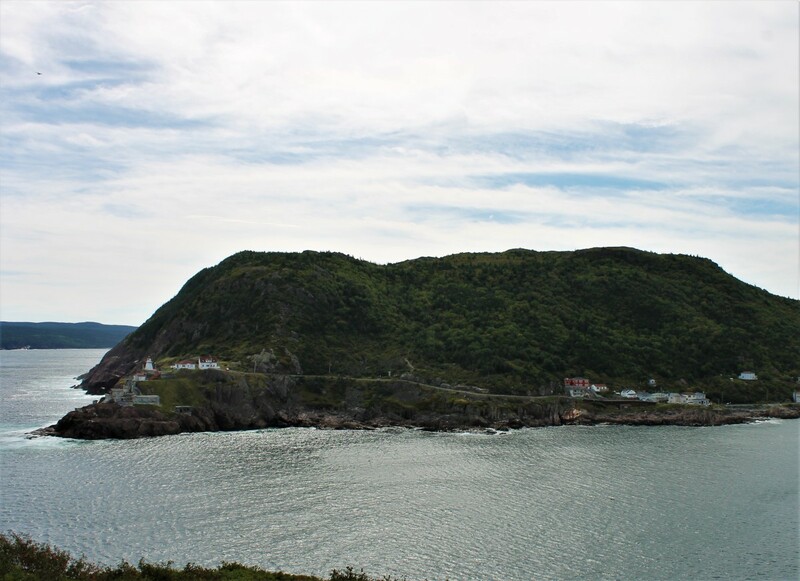 The trail, and the lookout from the barracks, provide a spectacular view of the harbor, the narrows, and Fort Amherst. 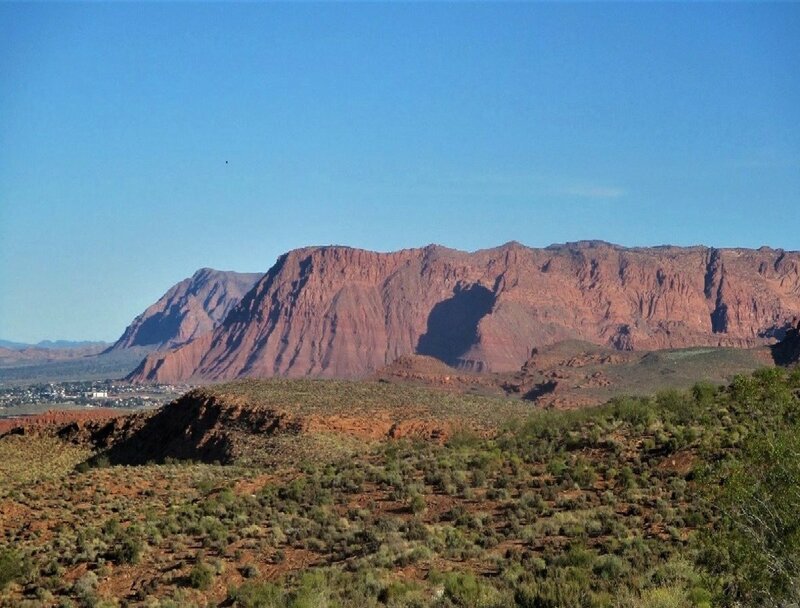 This trail is just over 500 m long and is rated Moderate. 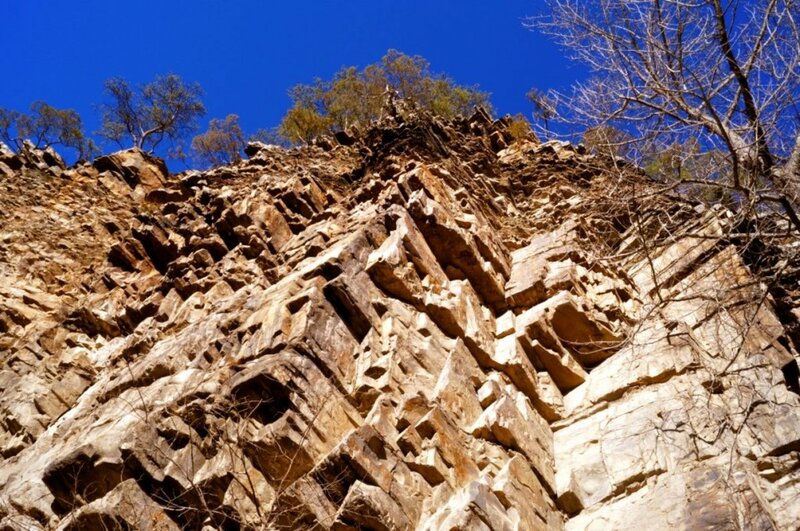 Though it is well maintained with an excellent walking surface, and no difficult terrain to navigate over, the trail does have a rather steep grade. There are, however, stairs to make the walk more manageable in some of the challenging areas. 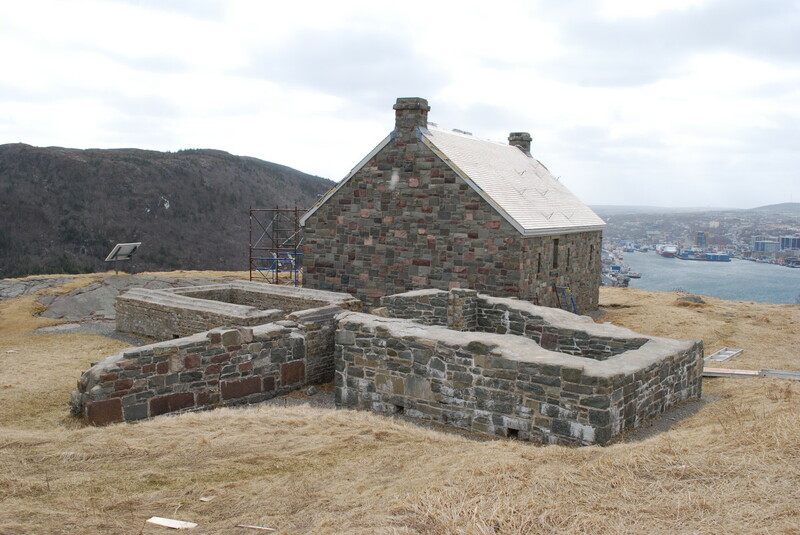 Though the fortification of Signal Hill began during the Napoleonic Wars the Queen's Battery Barracks, used for housing troops, was not built until the 1830s. In 1983 a project was undertaken for the restoration of the barracks. 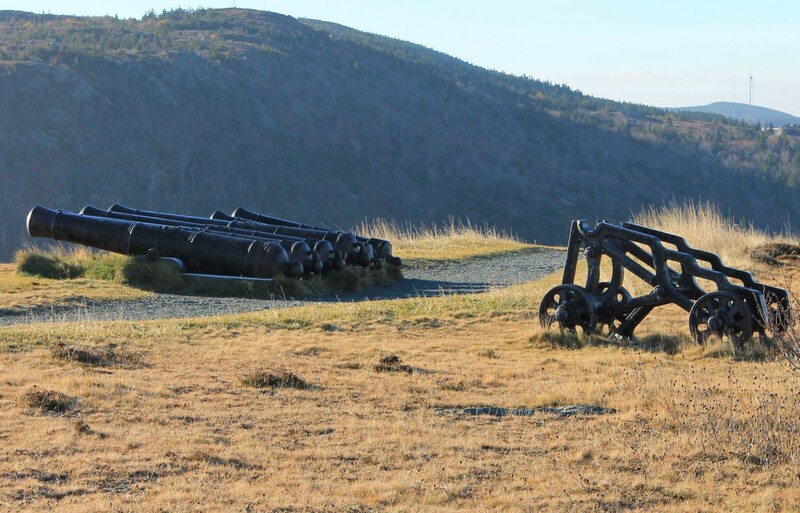 It is a very interesting stop along the trail that gives a glimpse into the life of the 19th century soldier stationed on signal Hill. The Barracks was also featured on an episode of the television show Creepy Canada because of its purportedly being haunted. From the Queen's Battery Barracks the trail continues up hill for about another 400 metres to Cabot Tower, coming up around the back and joining with the Lookout Trail. 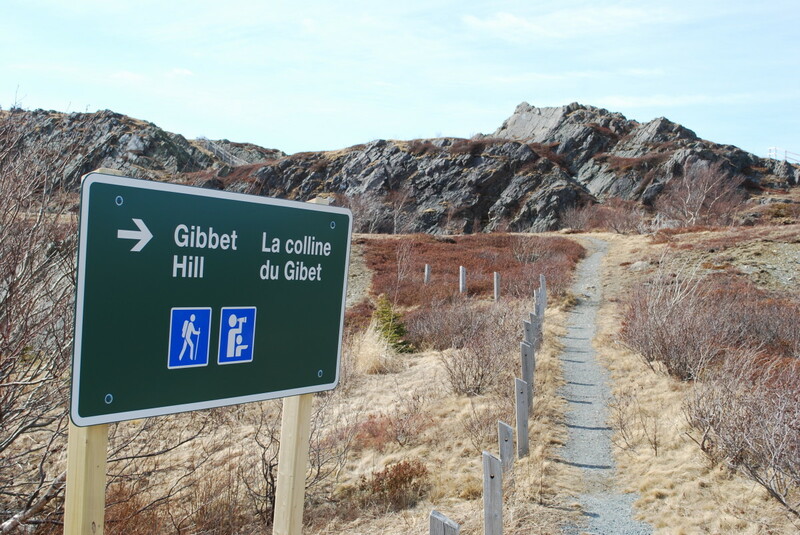 The Gibbet Hill Trail can be accessed either from the Tattoo performance field, adjacent to the interpretation centre, or from the entrance off of Signal Hill Road. This trail, though only 46 metres to the top of Gibbet Hill and down again, is rated moderate as It is very steep and has a lot of stairs. The view of St. John's Harbour and the Waterford Valley from the top, however, make it well worth the trek. Gibbet Hill gets its name from the practice of gibbeting, which is the displaying of an executed criminal's body by hanging it in chains from a gallows like structure for weeks while the corpse rots. 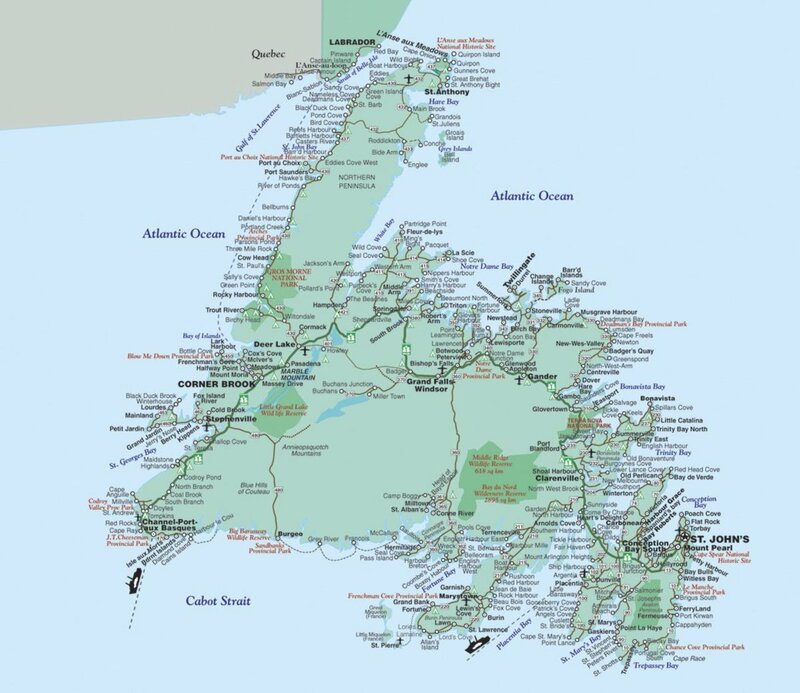 This was done as a warning to others to obey the laws of the land, and was carried out in Newfoundland well into the nineteenth century. This spot was chosen because it was visible from all over the city and from ships entering the harbour. Though the view from Gibbet Hill Lookout is absolutely breathtaking, especially on clear and sunny summer days, being at the top on a cool and windy day when the city and harbour are shrouded in fog, with the knowledge of the hill's history on one's mind, can be a little eerie. 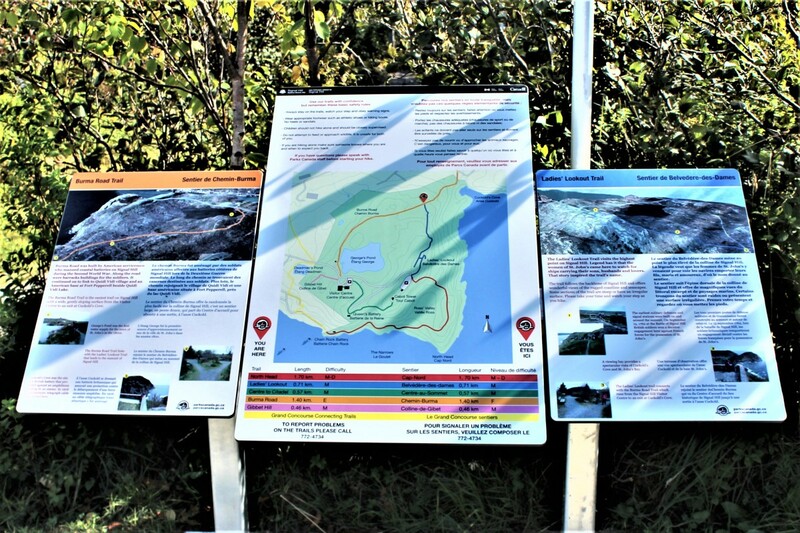 The Burma Road Trail is a 1.4 km long stretch of easy hiking path that runs from Signal Hill Road, across from Gibbet Hill, to Cuckold's Cove, on the north end of Signal Hill, above Quidi Vidi Village. 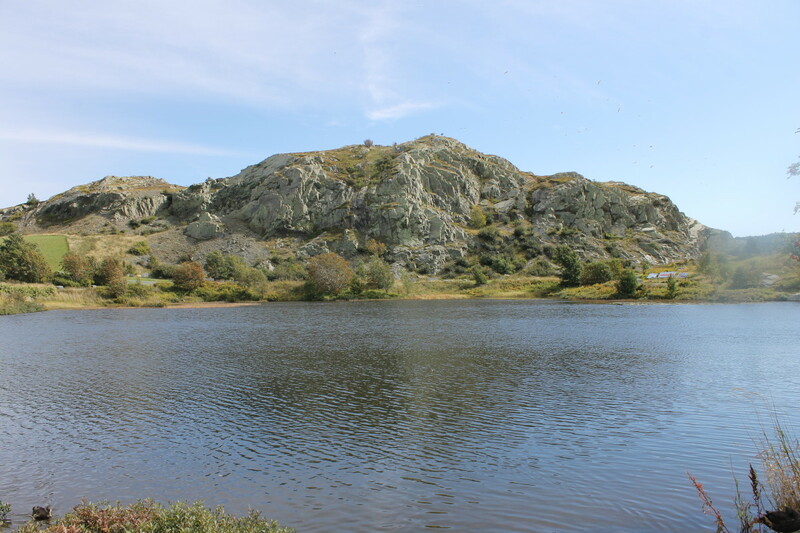 The trail was constructed by the United States military during World War II to connect its coastal batteries with Fort Pepperell, the US base along side Quidi Vidi Lake. It also contained a number of barracks used to house the soldiers. 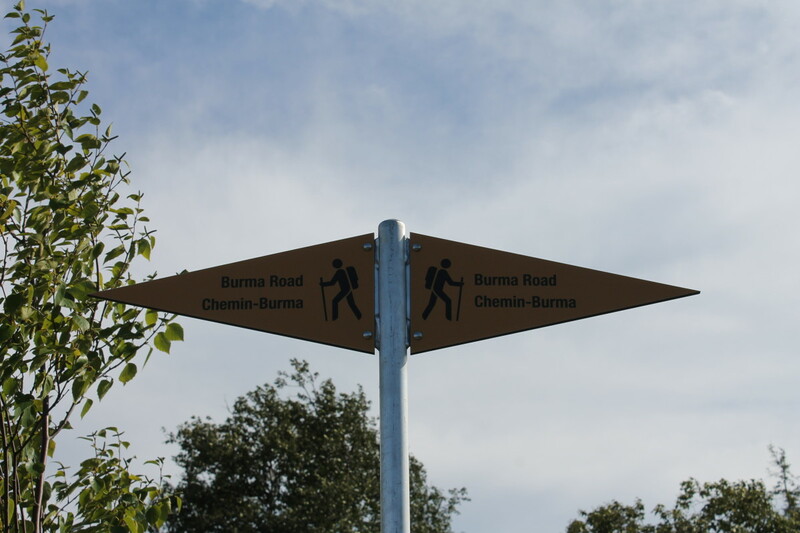 Approximately one kilometer down the Burma Road Trail the hiker will come to an intersection where the Ladies Lookout Trail joins up with Burma Road. 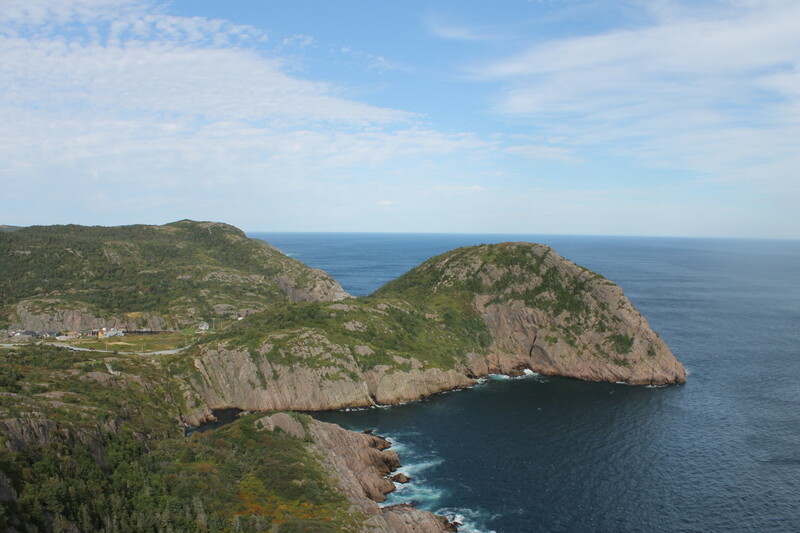 From here one can either continue on to Cuckold's Cove or Turn off unto the Ladies Lookout Trail, and carry on to the top of Signal Hill. Entering from the Burma Road Trail the Ladies Lookout Trail takes the hiker 710 meters, mostly uphill, to Ladies Lookout, the highest point on Signal Hill. 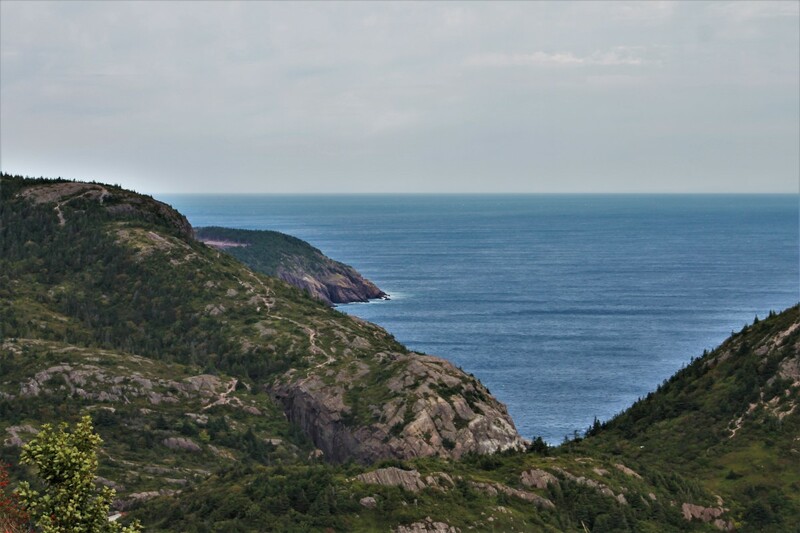 It is believed that Ladies Lookout got its name from the spot being used over the centuries by women from St. John's to look out over the ocean to watch for their men (husbands, sons, boyfriends, or whatever the case may be) to return from the sea. 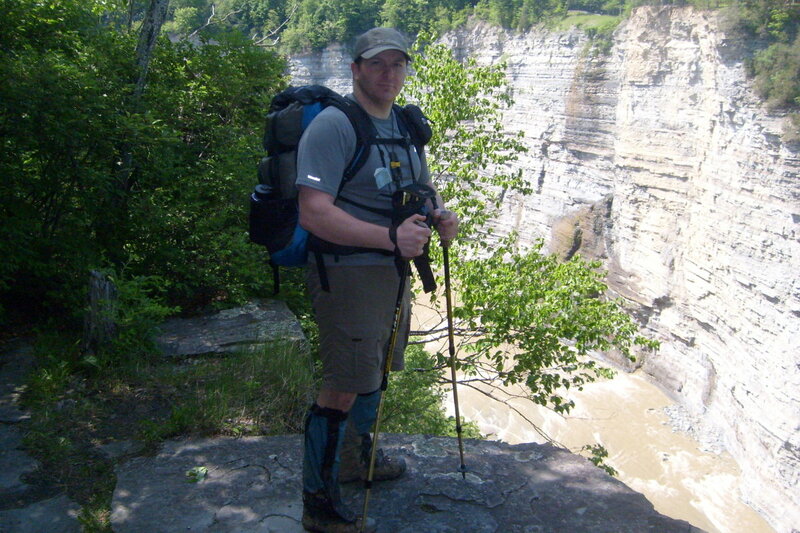 The trail is rated moderate as it is quite steep in places and has areas of uneven and difficult terrain. It also has a number of staircases to get the hiker over the most difficult climbs. The longest such staircase contains 88 steps. 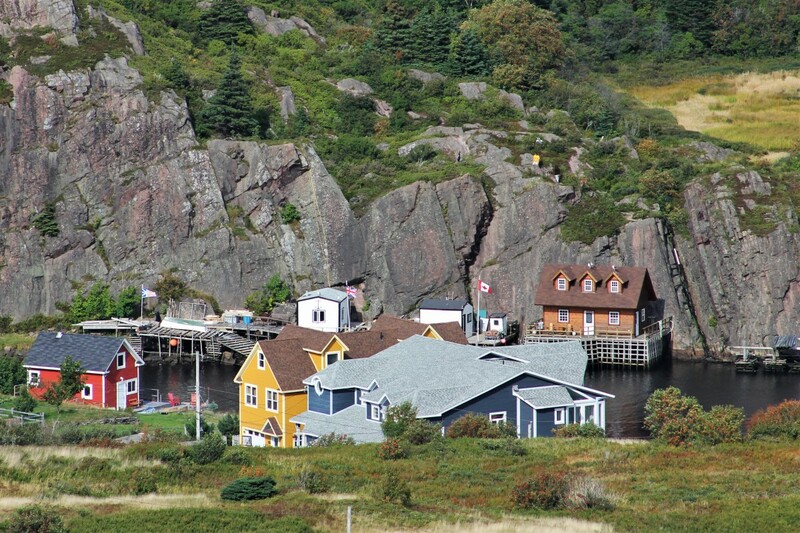 Though the trail can be challenging the beautiful views of the coastline, and Quidi Vidi Village, as well as the city of St. John's, make it well worth the effort. 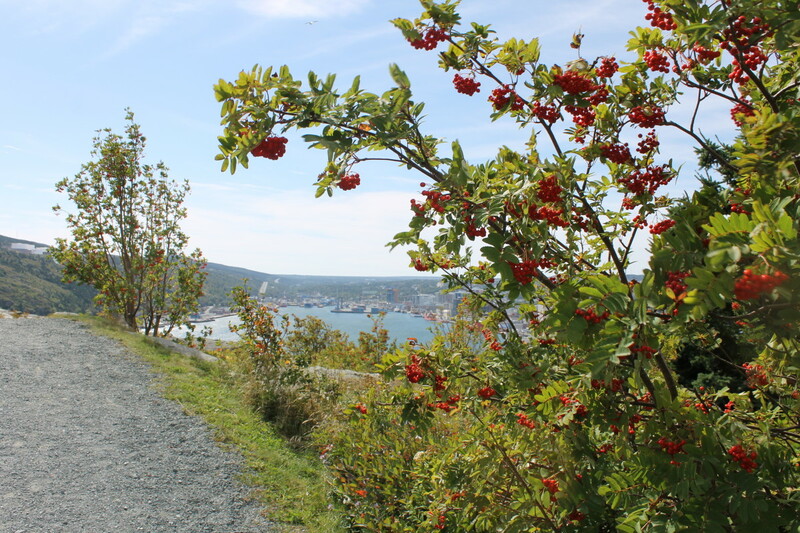 The North Head Trail is the longest, most strenuous, and most popular of the Signal Hill Trails. Rated difficult, this trail descends nearly 500 feet from the parking lot at the top of Signal Hill 1.7 km down the steep side and around the cliff face where it eventually connects to Lower Battery Road. 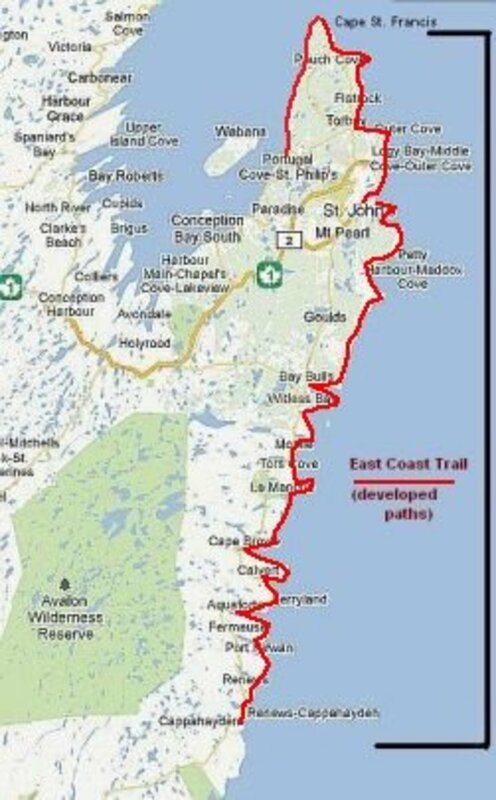 The trail is made up of gravel foot paths, bedrock, wooden stairs and board walk that, in places, take the hiker right to the cliffs edge. 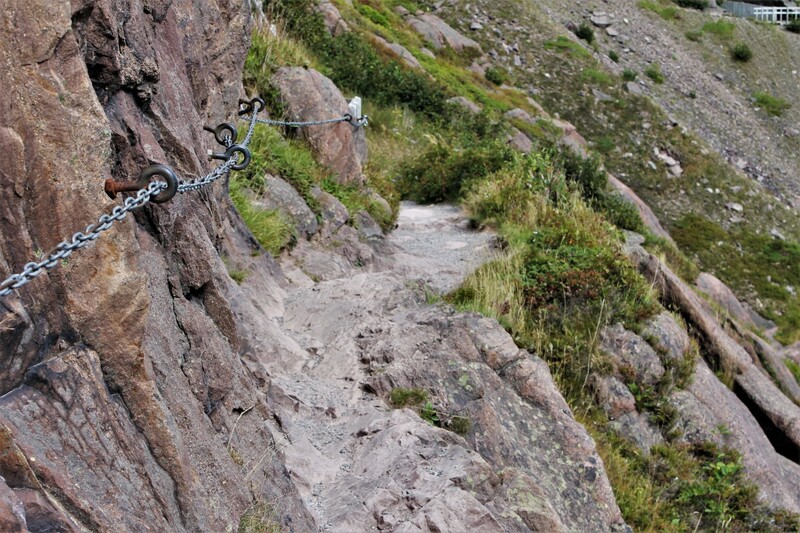 At one spot in particular, just before reaching the lower battery, the trail becomes extremely narrow, and is so tight against the rock face that a chain has been installed in the side of the cliff to be used as a handrail to help hikers safely navigate this section. This is also the windiest trail, and can be quite hazardous on certain days where gusts in access of 100 km per hour can whip around the side of the hill. 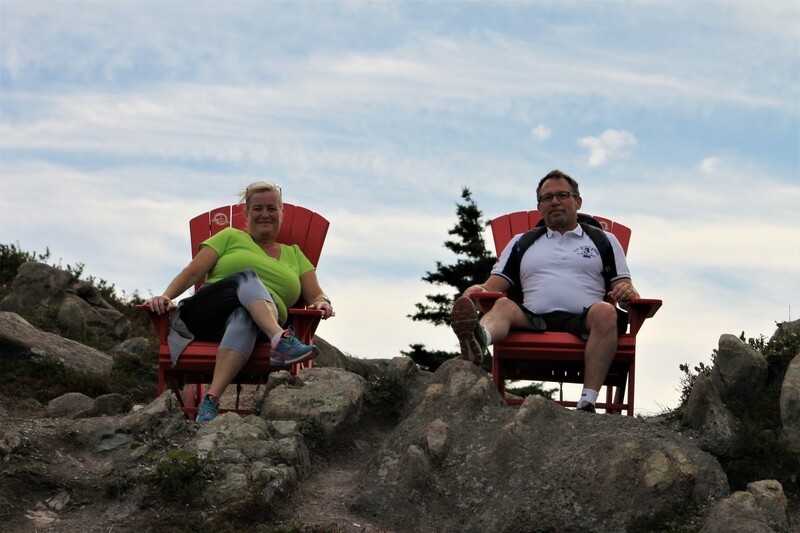 This trail affords the hiker spectacular views of Fort Amherst, the Narrows, the Atlantic Ocean, the South Side, the Waterfront, Downtown St. John's, and the Battery, and is a must do for any hiker visiting Signal Hill. Just be sure to wear a good pair of hiking boots, and bring a camera. 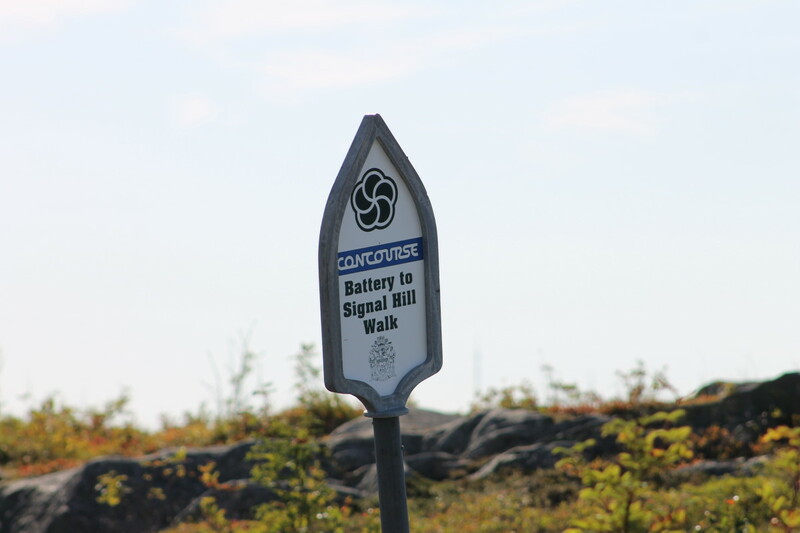 The Battery to Signal Hill Walk is part of the Grand Concourse trail system, and connects the Northhead Trail to Signal Hill Road. From the North Head Trail exit on Lower Battery Road this route, which is about half road, half trail, and almost totally uphill, takes the hiker through the Battery, past traditional fish stages and twine stores, and houses built right on the cliff side overlooking the Harbour, up steep roads to a staircase which leads to a trail that winds up the side of the cliff to Deadman's Pond, and out to the Geo Centre. 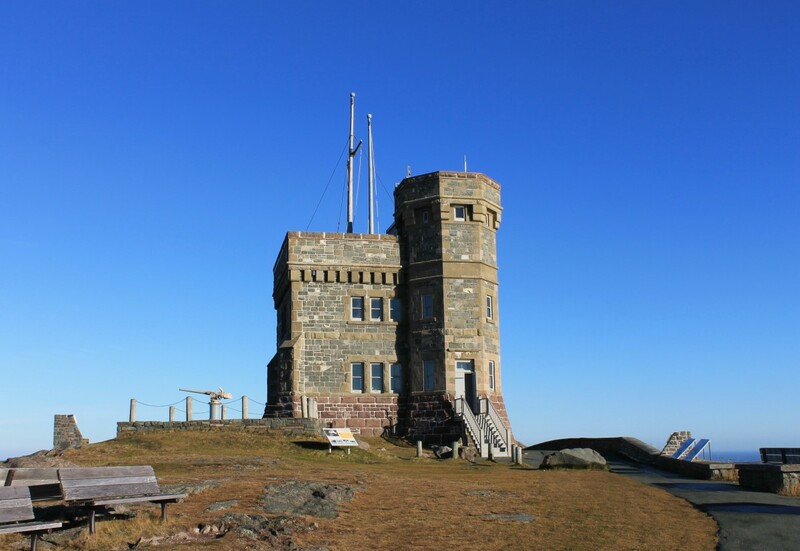 Begun in 1898 and completed in 1900 Cabot Tower, which stands at the top of Signal Hill and overlooks the city, was built to mark Queen Victoria's Diamond Jubilee, and to commemorate the 400th anniversary of John Cabot's discovery of Newfoundland. Today it is open to the public and houses a mini communications museum and a gift shop. It also provides a spectacular view of the city from its rooftop lookout. 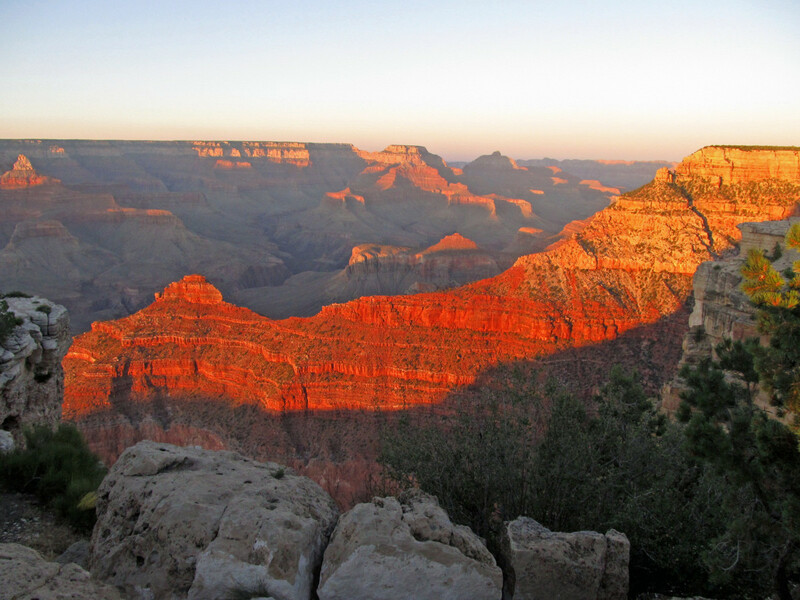 The Interpretation Center is a great way to begin or end the day's hiking. 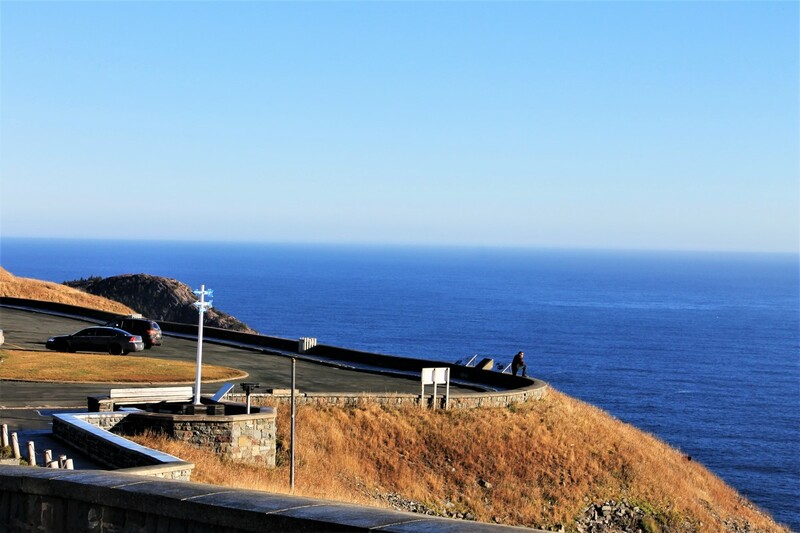 A Visit to the museum will give one a feel for the substantial history of Signal Hill, and enhance the entire experience. While there you can grab a treat for the trail or have a post hike lunch at the Newfoundland Chocolate Company Café. 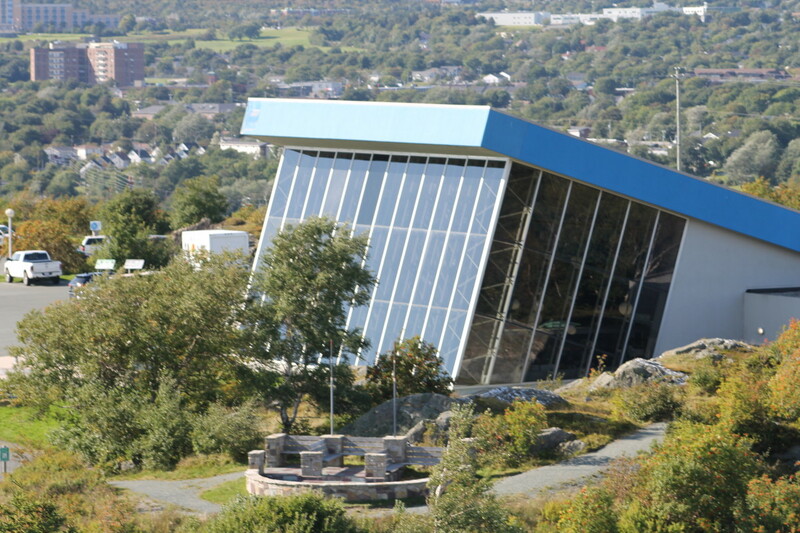 The Johnson Geo centre is a geological interpretation centre built right into the rock of Signal Hill. Walking through the below ground exhibition space the visitor can view the exposed face of rock millions of years old. Other exhibits include the Solar System Exhibit, Amazing Earth Theatre, Main Exhibits (our planet, our province, our people, our future & Space), the Titanic story, Oil & Gas Gallery, Steele 2D & 3D Theatre, and the Geo-Vista Park. 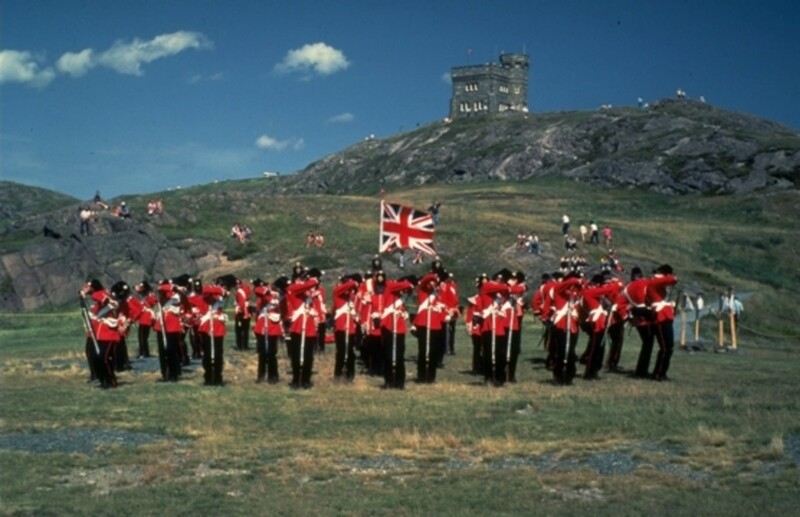 The Signal Hill Tattoo, founded in 1967, performs each summer during July and August. This award winning re-enactment of nineteenth century British military life and combat is well worth making the effort to attend. 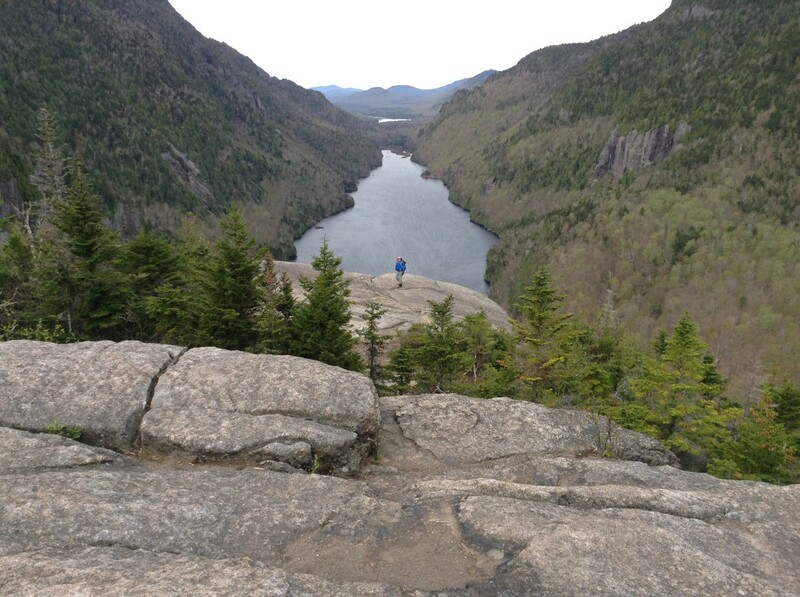 Signal Hill offers trails for every level of walker or hiker, with some of the most spectacular and breathtaking scenery available anywhere in the world. 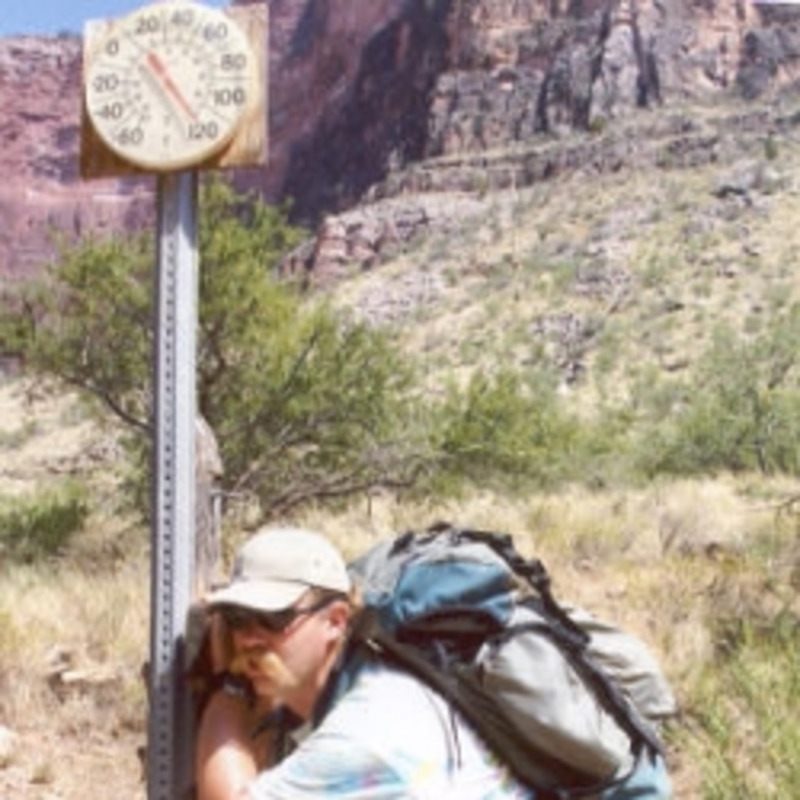 The average hiker could easily complete the entire trail loop in a single day, even stopping for lunch. Thank you. In my opinion some of the most spectacular scenery in the world. Wonderful Hub! Such beautiful scenery all around. Thank you. It is quite a beautiful spot. 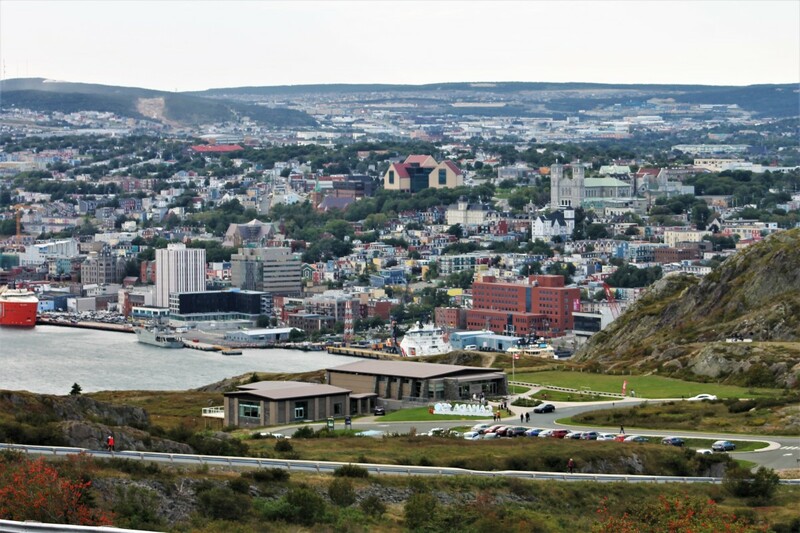 If staying in downtown St. John's it is only a short walk from any of the downtown hotels. There is lots to see and do on the hill and in the area. There is even a nighttime "haunted hike" on signal hill with local storyteller and guide Dale Jarvis, which many people really enjoy. What a fascinating hub...with gorgeous photos and marvelous walking information. 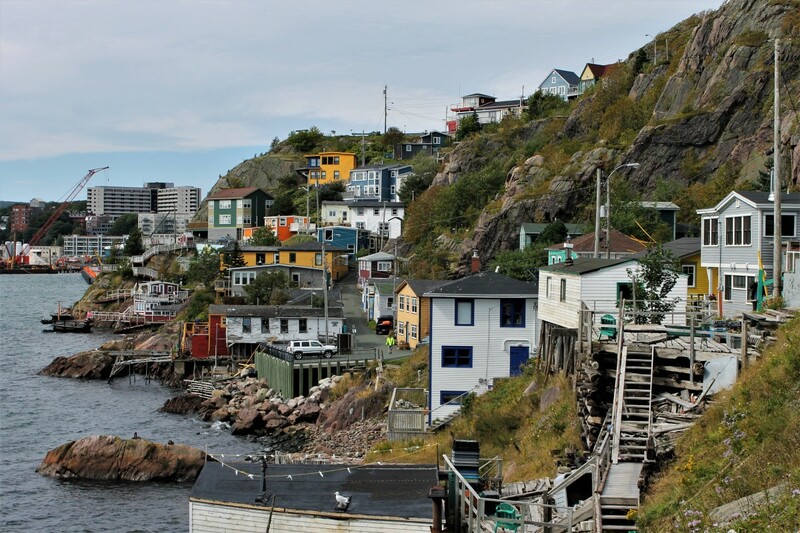 I would love to vacation around the signal hill area.